Almost a decade ago, a small group of people from Northbrook Church began meeting together in hopes of planting a church. City Fellowship celebrated its first official Sunday on February 1, 2009 on East Main Street in Jackson, TN. Russ Pflasterer, the founding pastor, had been born to Christian parents and raised in the church. But as he tells it, it wasn’t until much later in life that he experienced the transformative power of the Gospel of Jesus. Russ and his wife, Hether, spent 15 years teaching in the Jackson-Madison County School System. They hadn’t set out to do anything radival, they simply took the first jobs that became available after college. They quickly realized that the public school system provided window into the relational and spiritual health of their community. Despite a federal court order and generous funding, Russ and Hether watched the school system effectively re-segregate along racial lines during their educational careers. The old adage proved true again and again; birds of a feather flock together. Many of the same elementary school kids that Hether taught at Alexander would eventually make their way to Russ’ high school classroom at Jackson Central Merry. The Pflasterers’ eyes were opened to a stark reality; educational inequalities had real, tangible consequences especially for children of color. This realization led to a catalytic conversion experience for Russ in which the Lord gave him a vision for a particular kind of church. There were plenty of nonprofits and government organizations working to address the symptoms— poverty, crime, unemployment, and mass incarceration. But Russ knew that the Gospel and the church had a particular part to play in addressing both the spiritual sickness causing the symptoms and the symptoms themselves. God had rescued him from spiritual blindness and apathy after years of going through the motions of Christianity. If salvation was possible for Russ, then God could do the same for Jackson! He could reconcile people to Himself and to one another, even across lines of race and class. 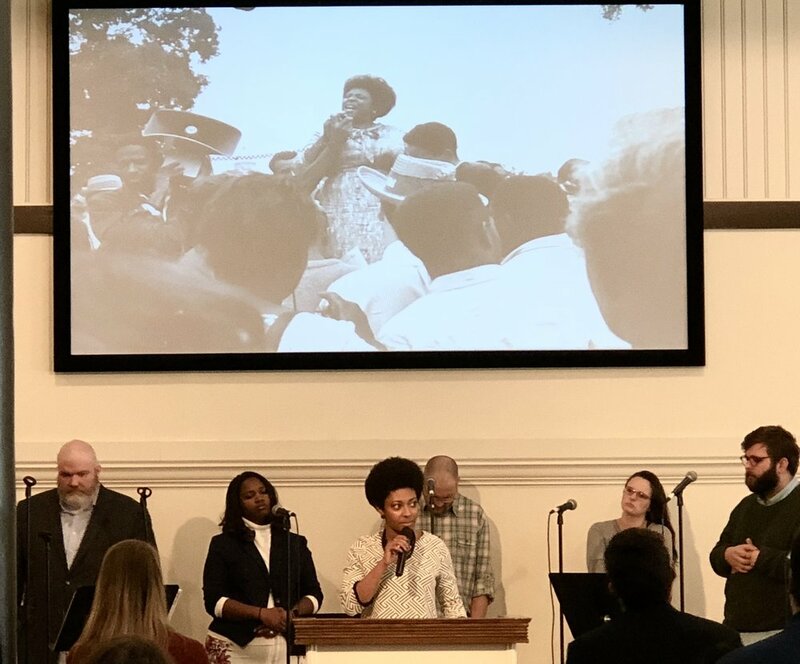 It would take a holy imagination to conceive of this type of church in a region where systemic, racialized oppression continues to ripple through generations. But this type of church would bear witness to the truth of the Gospel in a way that nothing else could. A church where historic enemies became family through the death and resurrection of Jesus Christ would be a sign and a foretaste of the coming kingdom. Our thoughts, emotions, spirituality, and actions all matter to God. And they impact our neighbors, whether we want them to or not. At City Fellowship, our desire is to preach a whole Gospel, for the whole person, to the whole world. 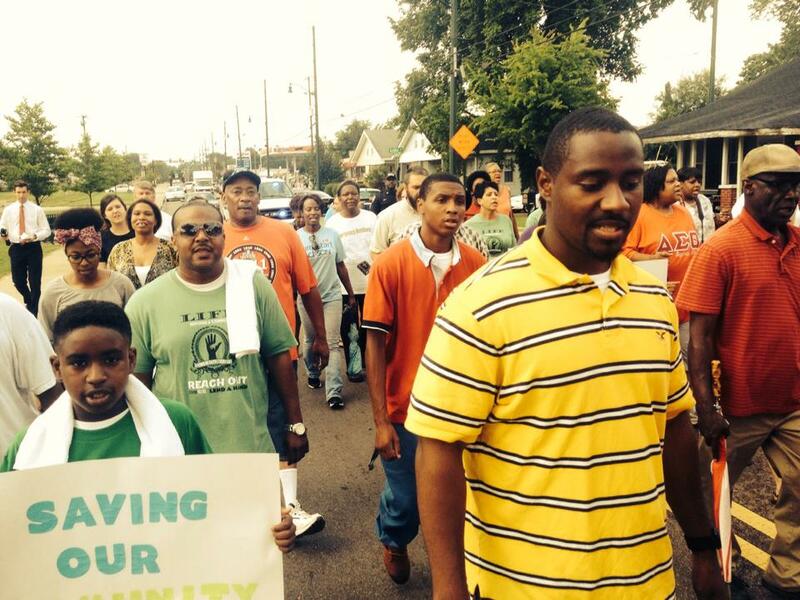 We want to see Jackson, TN transformed by the reconciling power of the Gospel! Jesus Christ is mighty to save us individually, but He also has power to heal our community from sin and division. We want to be found preaching a whole Gospel that speaks to all of who we are as individuals, community members, and brothers and sisters in the global family of God.